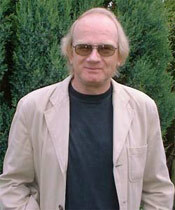 Professor Allan Ingram, Professor of English at Northumbria University, has worked for some years on issues of mental health and their representation during the eighteenth century. He has published several books on insanity and the way writers, professional medical men as well as sufferers and creative writers, treated it over the period. These have included The Madhouse of Language (1991) and Cultural Constructions of Madness in the Eighteenth Century: Representing the Insane (2005, with Michelle Faubert). Between 2006 and 2009 he was Director of the Leverhulme Trust project 'Before Depression, 1660-1800: The Representation and Culture of the English Malady' (see www.beforedepression.com). In connection with this he has published Melancholy Experience in Literature of the Long Eighteenth Century (2012, with Stuart Sim, Clark Lawlor, Richard Terry, John Baker and Leigh Wetherall-Dickson) and Depression and Melancholy 1660-1800, a four-volume edited collection of source material (2012, with Leigh Wetherall-Dickson, Anita O'Connell, David Walker and Michelle Faubert). His interest in 'Fashionable Diseases' is partly, therefore, to do with the experience, representation and treatment of melancholy, but also with those diseases that were never considered fashionable.